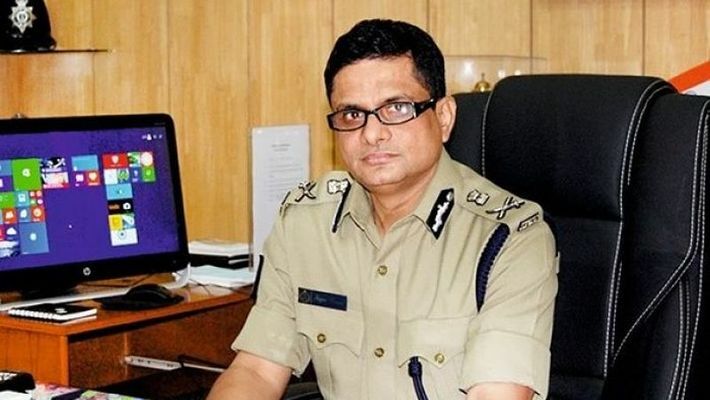 New Delhi: Kolkata Police commissioner Rajeev Kumar, who is facing the Central Bureau of Investigation’s (CBI) questioning for the third day in a row in the Saradha chit fund scam, has told the investigators that he was not heading the Special Investigation Team (SIT) as it was working under the director general of police (DGP). According to sources, just after these claims he also demanded the recordings of the CBI questioning, which has been turned down by central investigative agency’s officers. Sources confirmed that Kumar is trying to passing the buck to then DGP. It is likely that the CBI may question the then DGP who was supervising the probe. On the third day, the CBI continued joint questioning of Kumar and former Trinamool Congress (TMC) leader and Member of Parliament Kunal Ghosh. On Sunday too, the CBI had a session of joint questioning. According to sources, the CBI is questioning Kumar about the pen drive, phones etc which were allegedly recovered from Sudipta Sen, the main accused in the scam after he was arrested by Kumar from Srinagar in 2013. Kumar, who succeeded in tracking Sen and his aides’ location, had seized pen drives, data, mobile phones which were not handed over to the CBI, sources in the central investigating agency claimed. According to media reports in 2013, chief minister Mamata Banerjee had constituted an SIT under DGP, West Bengal. Later, Kumar was asked to head SIT under the supervision of DGP. “Mamata had told reporters after a high-level meeting that an SIT under the director general of police would look into the fiasco, and a high-level inquiry under the Commission of Inquiry Act was being instituted,” news reports published in April 2013 had claimed. During several hours of questioning by the CBI, Kumar has been claiming that he was also getting instructions from senior officers and he had not got along with those who had everything related to the case. It is likely that the CBI may call then DGP when SIT was taking action against the accused and seized material from them. The CBI had sent a team of 10 officers to probe the chit fund scams in Bengal. It is questioning Kumar in Shillong as per the Supreme Court order. The CBI has claimed Kumar didn’t hand over crucial documents to it and also destroyed some of them related to Saradha and Rose Valley chit fund scams. Tussle between the CBI and Kolkata government started when the former had sent a team to interrogate Kumar at his residence in Kolkata but Mamata reached Kumar’s residence and prevented the CBI from questioning him. She also staged a dharna at his residence targeting the Narendra Modi government.